Our last Fornightly Airmail featured the first part of an interview with writer, translator, and editor Oonagh Stransky, best known for her English translation of The Name of God is Mercy, by Pope Francis and Vatican reporter Andrea Tornielli. Here’s Part Two of the conversation Stransky recently had via e-mail with our Interview Features Editor Ryan Mihaly. Let’s move on to the book itself. Pope Francis recites Bible passages from memory (it seems) several times throughout the book. Did you translate his Italian quotations from the Bible? Or do you know if the original version of the book used passages from a particular version of the Bible? Great question. In the introduction, Andrea Tornielli, Vatican-watcher and longtime member of the Pope’s entourage of journalists, describes the particulars of the situation well. He mentions that he sent his questions in advance. 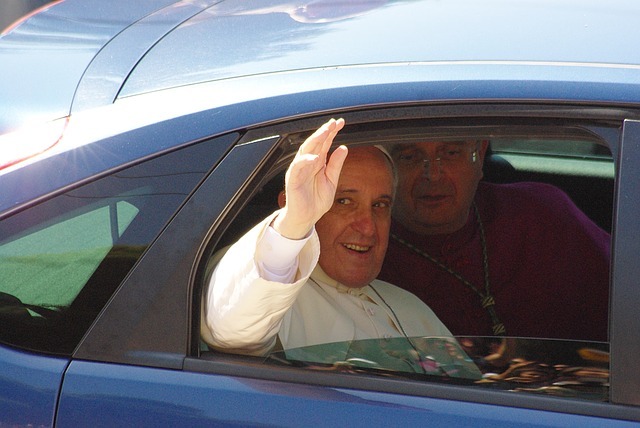 He also describes how prepared the Pope was for the interview: “Francis was waiting for me sitting at a table with a Bible concordance on it and some quotations from the Church Fathers.” In other words, he didn’t quote all the passages from memory, but came ready to share some key stories both from the Bible and his life. One of the first questions I asked Random House was which version of the Bible should I use for the quotations. The reply came direct from the Vatican. For the Random House version, which is distributed in North America, South America, and Canada, the New American Version of the Bible was used. This created a few problems for the British version, published by Macmillan Blue Bird, and released in UK, Europe and Rest of World (as I believe Oceania is called), for which the New Revised Standard Version was used. To some degree, the quotations—as with any quotation within a translation—are a legal matter and have little to do with the translator. But what is really interesting here—and this may be one of the reasons that the experience of translating this book was a transformative experience for me—was the way Pope Francis didn’t simply drop quotes from the Bible. No, every quotation was reinforced with his own, simple words, or with an illustrative anecdote. Pope Francis doesn’t use the Bible as an end, but as a beginning of discussion. I really enjoyed that. You can hear Francis’s voice talking about the Bible, giving us an example to help us understand what he thinks it is trying to say. He does not raise the message up to a place where it is out of reach; he brings it to us, with a casual but strong comment. And with an exclamation mark! I love the places where there are exclamation marks. It is this back and forth with the sacred text that makes his comments easy to read, easy to understand, and possible to emulate. One thing I should mention is that the Bull of Indiction that appears at the end of the text was not translated by me. That is an official Vatican translation. Of course, this begs the question, why didn’t they use a Vatican certified translator to do the translation of the whole book? I can only presume that both Editoria Vaticana and Piemme publishers wanted to be able to count on the editorial, legal, marketing, and publicity expertise of international publishers, and that these companies wanted the freedom to choose their own translators. My first question is simple. 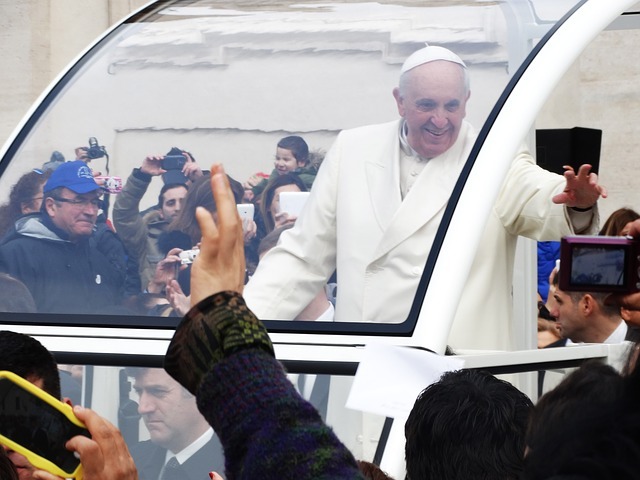 What was it like to translate the Pope? I grew up Catholic, considered myself Agnostic when I was in college, and now, like many, consider myself on a spiritual journey but am unsure what to call myself. The Pope’s words are incredibly moving, especially as he reflects on his experiences as a young confessor, and can no doubt effect, I think, nonbelievers. What was it like to translate these words, and what were your goals as the translator? Translating the Pope’s words and ideas was a challenging and moving experience for me, as most literary translations are. I would say it was even a transformative one, too. Because I had a limited amount of time to work on the translation, as I will explain, the experience was especially intense and personal, even more than if I had had a lot of time to work on it. I had to immerse myself entirely in the text. In so doing, I not only discovered a gentle, deeply human side to this Pope, I felt something change or soften inside me. As I mentioned, everything about the experience was intense. One day, out of the blue, I was contacted by Will Murphy, a Random House editor based in New York. I worked with Random House many years ago but have not collaborated with them since then. Murphy told me about the project, asked if I was available and interested, and suggested I do a sample. I agreed and sent it back to him that same day. Three days later I walked in to the Random House offices in Manhattan and left with a handshake and deal. I have been living in Tuscany now since 2009 and moved here from New York—I missed this kind of efficiency and directness! My negotiations led to a contract—which did not include everything I hoped for—but it was a job that I cared about and, of course, as a freelancer I have to be ready to bite the bullet.